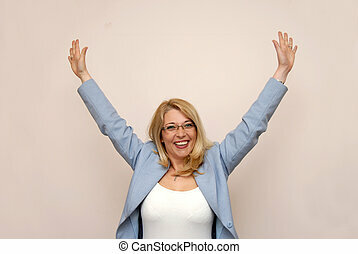 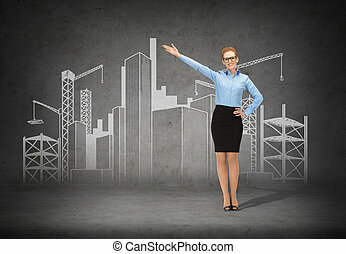 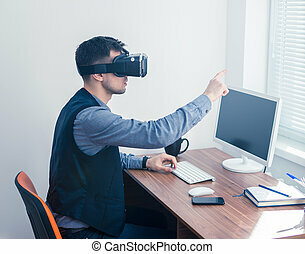 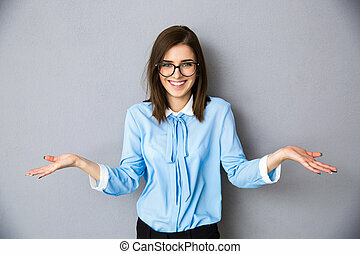 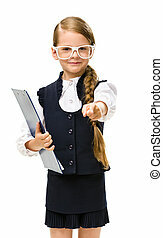 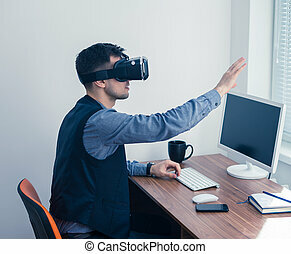 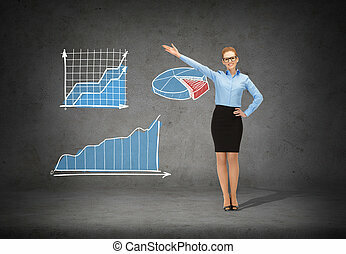 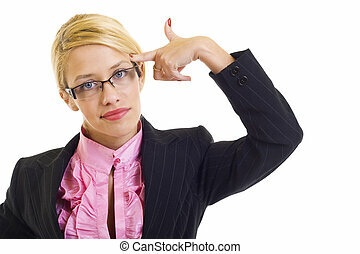 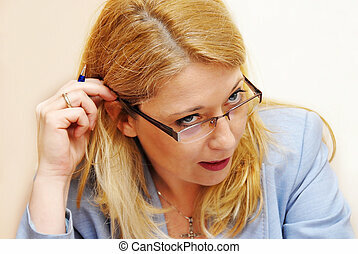 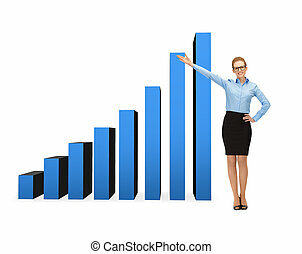 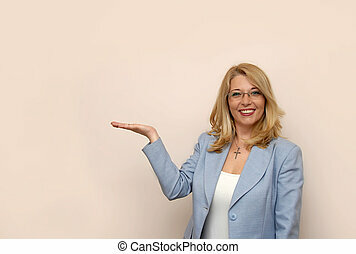 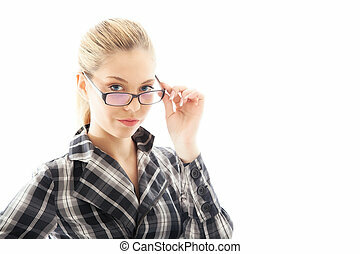 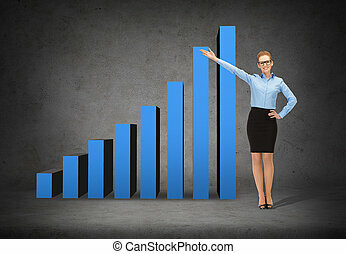 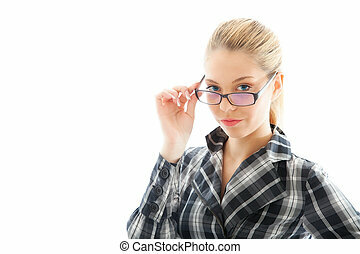 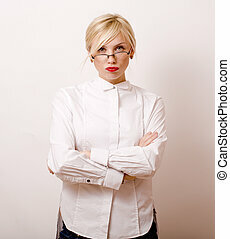 Businesswoman in glasses gesture. 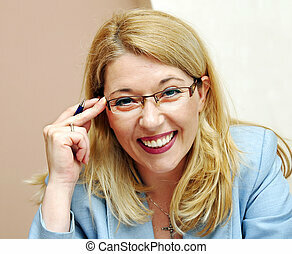 Happy relaxed blond caucasian businesswoman in glasses portrait at armchair. 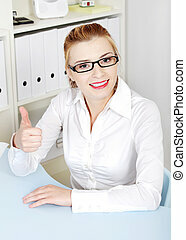 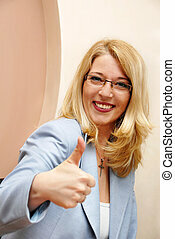 Pretty bussineswoman in glasses sitting in her office smiling and showing okay gesture.